Back by popular demand! 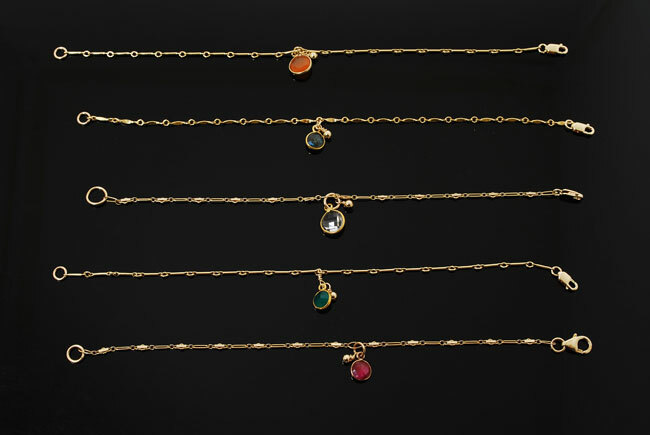 These sweet 14K GF bracelets can be worn alone or stacked with your watch and other bracelets. Shown with carnelian; labradorite; green amethyst; green onyx; ruby. All with 14KGF accent.